As a promotional tool, roller banners are as useful and prominent as ever, but have you ever wondered if it's possible to get more out of your displays? 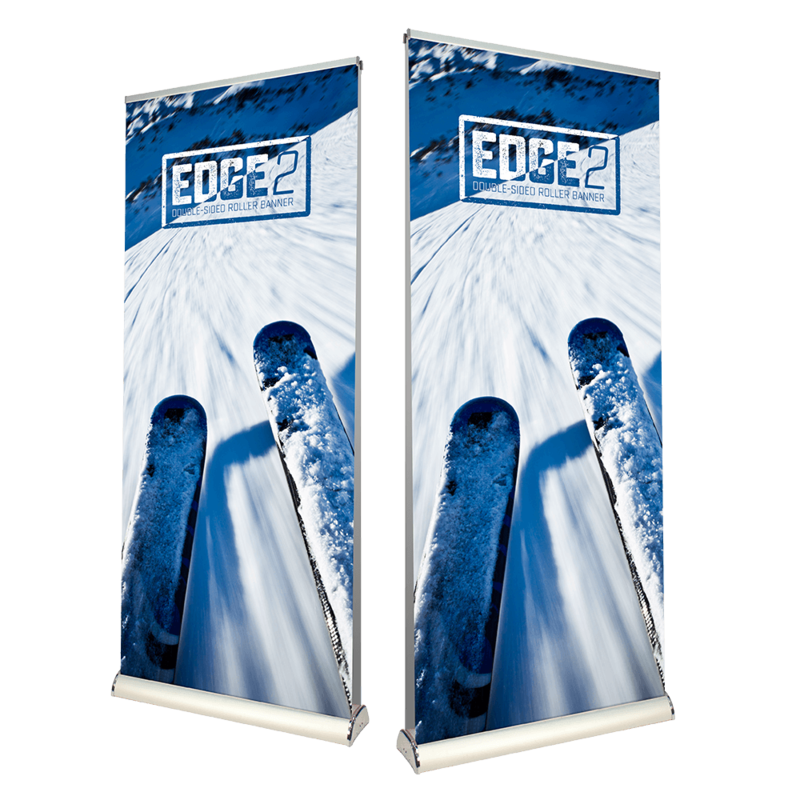 If you want to maximise your results, Project Design Print's double sided roller banners are an excellent choice for enterprising promoters. The good news about roller banners is that everybody can see them when you put them up. However, the downside is that people can only see the signage from one side. A prospect walking down the hall from the wrong side means that your message could potentially be missed. Double sided roller banners allow you to double the views and effectively get two billboards for the price of one. It doesn't get more economical than that. 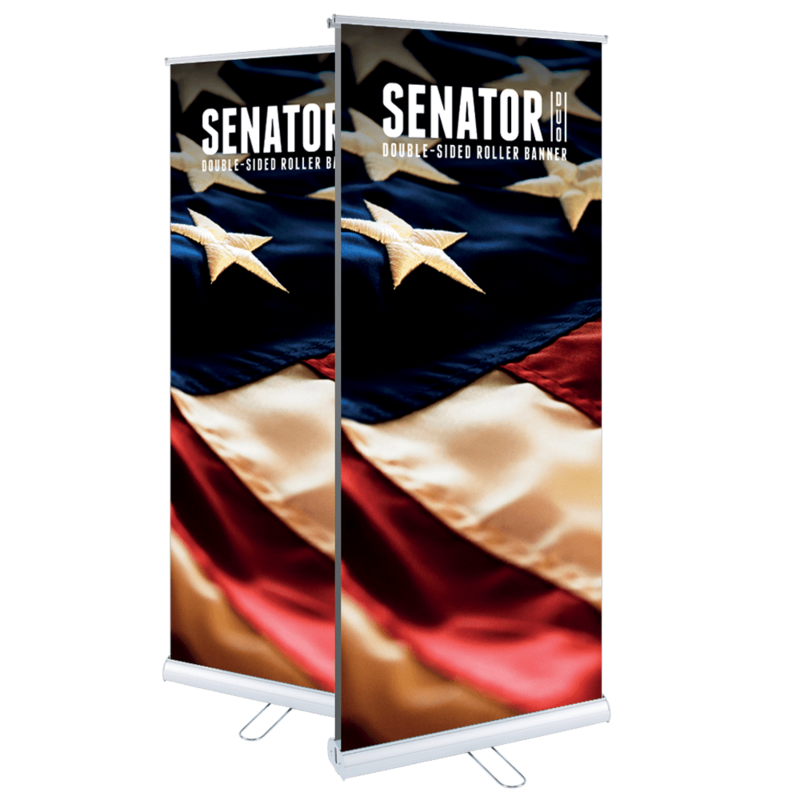 Customers can choose between our Edge 2 and our Senator Duo double sided roller banners. Find out more about our two sided roller banners today.